As I got older, she dragged me into the mission field by assigning me to go out and collect money for people in need. Those of us who are old enough remember the days before mass mailings, before the Internet. We remember those little cans, wrapped in the logo of some organization: Multiple Sclerosis Society, Muscular Dystrophy Association, American Cancer Society, March of Dimes, Easter Seals … My job, from the time I was fairly young, was to go door to door in the neighborhood, asking politely for donations. My neighbors would ask me, “Didn’t I just give last month?” And I’d stand there, looking up at them, and reply, “No, that was for Muscular Dystrophy. This is for Multiple Sclerosis.” Never mind that I couldn’t explain the difference; I simply had to do the collecting. It took me years to figure out what my mother was trying to teach me: That we are on this earth to take care of others. I’ve been a volunteer for various organizations, both inside and outside the Church. I’ve helped refugees resettle in this country, been a Girl Scout leader, a Big Sister, a Peace Corps volunteer in Kenya. I’ve gone on mission trips, and led mission trips to Appalachia, South Dakota, Honduras, Haïti and Sudan. I’ve worked with the homeless, feeding and sheltering them, set up and run Food Pantries, volunteered my time, given my money. All because I believe that we are created – created! – for mission, every moment of our lives, every place we ever are. Being created in the image of God means we are created for mission. 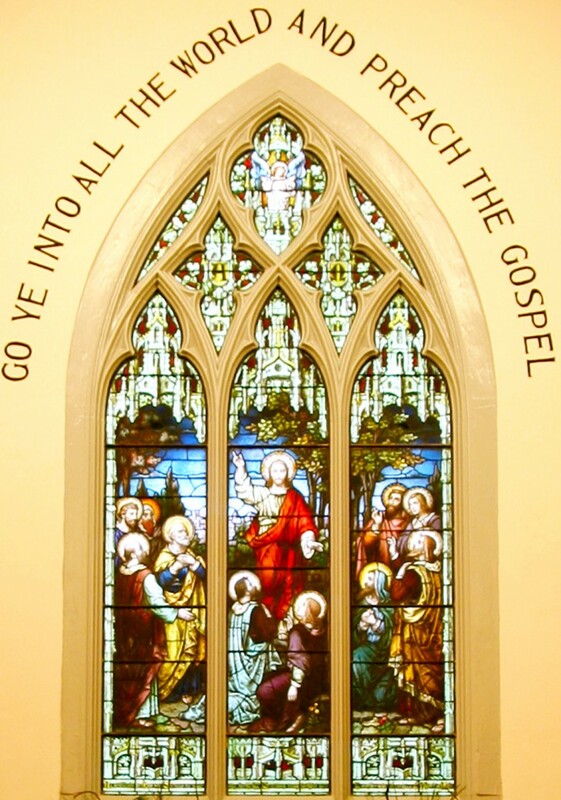 Until last Oct. 22, everyone who visited Immanuel Chapel at Virginia Theological Seminary had the chance to contemplate the Risen Lord’s last words to his disciples: “Go ye into all the world and proclaim the Gospel.” The window is gone now – it was destroyed in the devastating fire that bright day in October. But those of us who saw it, who prayed in front of it, who mused upon the depiction and the words will never forget it. Jesus’ message is not a request, not a suggestion: Jesus commands all of us to go into the world – whether that be across the street, across town, across the nation or across the world – for one purpose only: To proclaim the Gospel, the Good News of God’s love for all of God’s very good creation, in thought, word and deed. This web site was inspired by that stained glass window at Immanuel Chapel. For three years, I sat in chapel and prayed over what God was calling me to do, and where. Thousands of others have done the same … and my prayer is that those who cannot visit VTS can still be inspired by this image. 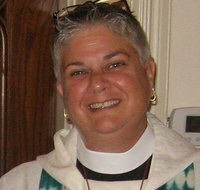 My hope is to make this web site available to all who are engaged in mission, wherever they may be. My purpose: to share information and help others to live their lives fully engaged in mission every moment of their lives. Because Jesus was crystal clear: Together, we are all called to engage in God’s mission and ministry throughout God’s very good creation. Time to play in the fields of the Lord! I bid you God’s peace and my peace, God’s blessings and my blessings, God’s love and my love.